First we will immerse ourselves in the free, unspoilt nature of the New Forest and then we will enter the elegant Exbury Gardens, which have hundreds of surprises in store for us on board a lovely little steam train. After leaving Portland, we will head south across the stunning scenery of the New Forest, which became an English national park in 2006. The area is not only wooded, it also has numerous pastures where we might catch a glimpse of small strings of ponies and herds of donkeys wandering around freely. Along the journey we will encounter the picturesque village of Lyndhurst, which is extremely popular and highly photographed thanks to the gardens and thatched cottages that surround it. 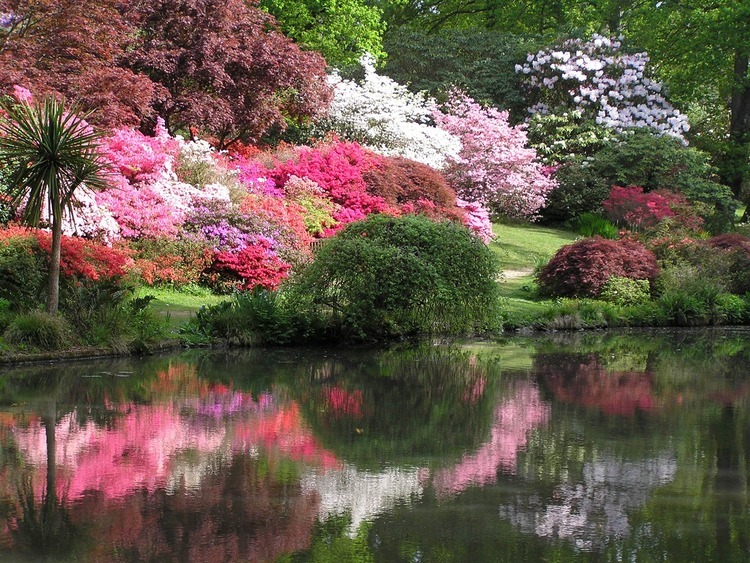 Then we will move on to Exbury Gardens, a spectacular area covering 800,000 m2 on the banks of the Beaulieu river, which boasts a rock garden, sundial garden, ponds, waterfalls and exotic trees. The first gardens were created in 1919 when colonel Lionel Nathan de Rothschild bought the Exbury estate. Even the royal family have visited the gardens: the Queen herself planted a tree there and the Prince of Wales and the Duchess of Cornwall unveiled a plaque commemorating the tenth anniversary of the railway line and steam train. We can't miss the opportunity to take a tour on the wonderful steam train that will take us to Summer Lane Garden, full of bulbs and evergreen plants and dotted with moss statues of animals. Once we have passed Summer Lane Garden, we will reach the Rock Garden, crossing a small wooden viaduct with a beautiful view of the lakes full of wild plants. The tour continues along the Exotic Fruit Patch, a field of sunflowers and the oldest tree in the garden, the Domesday Yew. Our last stop will be the *American Garden which contains hybrid rhododendrons from the US. After the tour, we will head back to Portland.